Today comes with the realization that we will be on a flight outta here so very soon. We have been so blessed living with the Hinrichs. Observing a loving mother and father such as Troy and Jess has been so nice. They have taught us a lot without even trying! Our kids have had so much fun playing with Faith, their daughter. Our boys have definitely kept poor little Faithy on her toes! 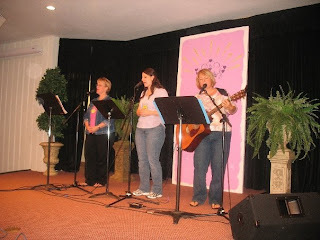 I just came back from the Women's Retreat with our church yesterday and I had an amazing time. 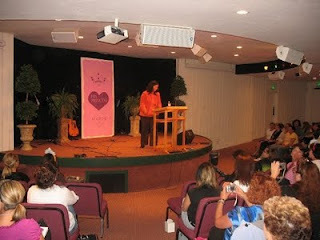 (Pictures to the left) The theme was "His Princess" and our speaker, Sherri Rose Shepherd, was amazing (---> check out the website http://www.hisprincess.com)Our retreat was at the Calvary Chapel Twin Peaks conference center. I even got the chance to share my testimony with the ladies. Coming off the mountain gave me the sad realization that I will be leaving some of the most influential women in my life. They have taught me so much without ever realizing my eyes were watching. God has blessed me abundantly with a healthy, thriving church that includes some of the most loving, selfless people I know. morning message at Emmanuel United Presbyterian Church in Long Beach. He was so blessed by the fellowship and all the more excited about getting out to Kenya. The church will provide the hamburgers and hot dogs so please bring a side dish to share. We will be staying at Living Water Christian Fellowship when we arrive in Nairobi until we language school begins in October. The church is a three bedroom, two bathroom house. The power will be out three days a week as most of Nairobi is on a specific sched. (One rotation of people lose power Mon., Wed. Fri. and another loses power Tues, Thurs., Sat.) In October we will move out to Limuru where we will begin school and we will be driving back to the church on the weekends to build relationships and be with the people at Living Water. We are continuing to count down our departure and we are so excited we will be breathing Nairobi air in less than one month! Our good friends, The Hinrichs, have let us invade their space until our move. You know, the Lord has been so good. The Hinrichs have a lovely home where our kids can play in the backyard and front yard. We were living in an upstairs apartment that didn't allow for casual running in and out of the house. Josiah even cries when we have to go back to the apartment to clean because he thinks we are leaving The Hinrichs home! We are so blessed to have nearly everything sold. Our last garage sale will be this Saturday at Debbie and Howard Oakes home. We are also hoping that our truck will sell in the next 30 days, so please be praying for that. Jonathan gave his last Bible Study to the high schoolers and junior highers this last Sunday. 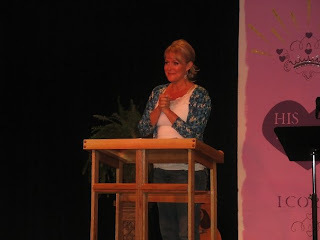 The study was a great exhortation to the kids about going where God's called you and doing great things for God. At the end of the study Pastor Geoff had Jonathan and I come forward while the kids prayed for us. By the end of that prayer session, Jonathan and I were full of tears. 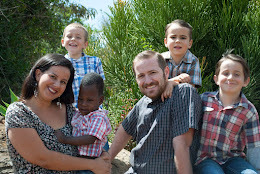 The five years Jonathan has loved and invested into these kids lives were evident. We love our church and those kids so much, it will be hard to say goodbye. The next few weeks are filled with doctor's appointments, lunch with friends and family and last minute things before we board our flight. It's amazing all the things that need to be in order before we can go. Like, what happens to our mail when we leave? haha...if you know than please let us know because we are stumped for now! haha! Well, we hope you are well and thank you for your continued prayers and support.